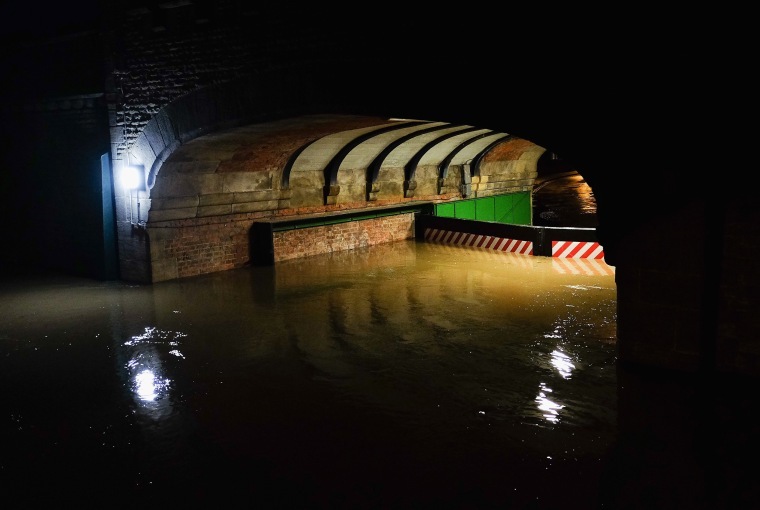 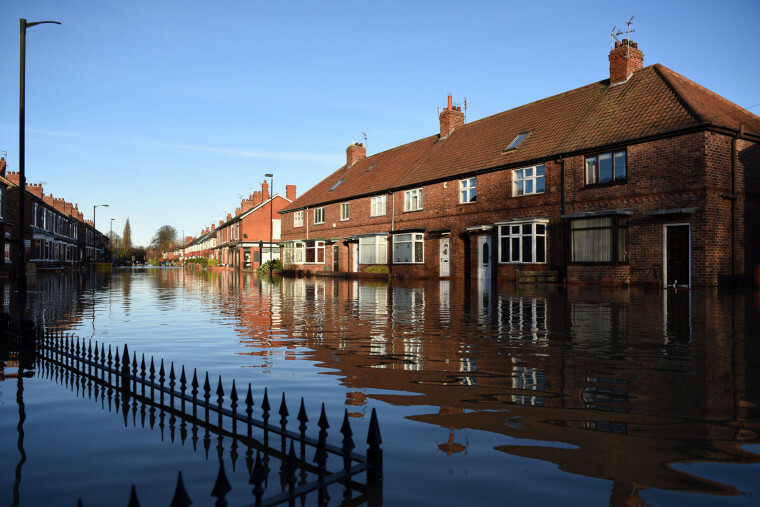 Heavy rain over the Christmas period caused severe flooding in parts of northern England. 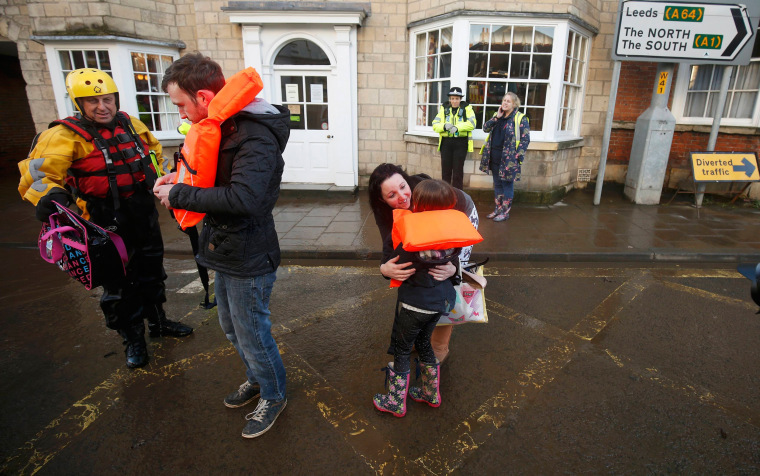 Emergency crew evacuate people from the Queens Hotel in York city center as the River Ouse flooded on Sunday, Dec. 27, 2015, in York, England. 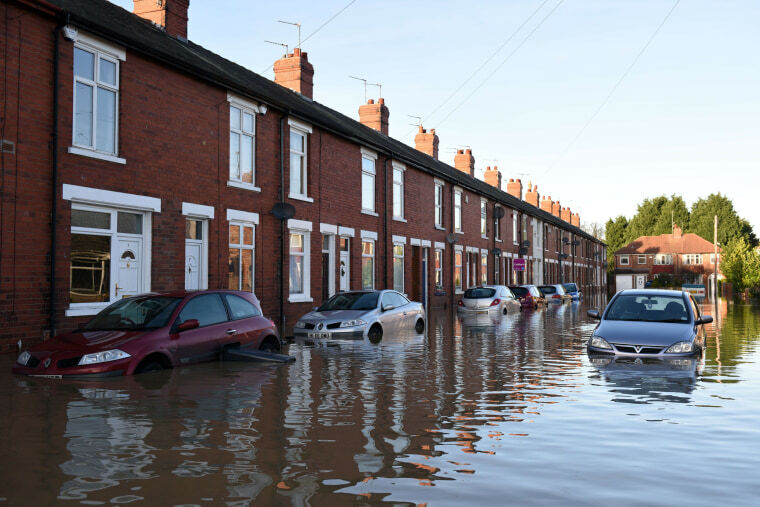 A flooded residential street is seen. 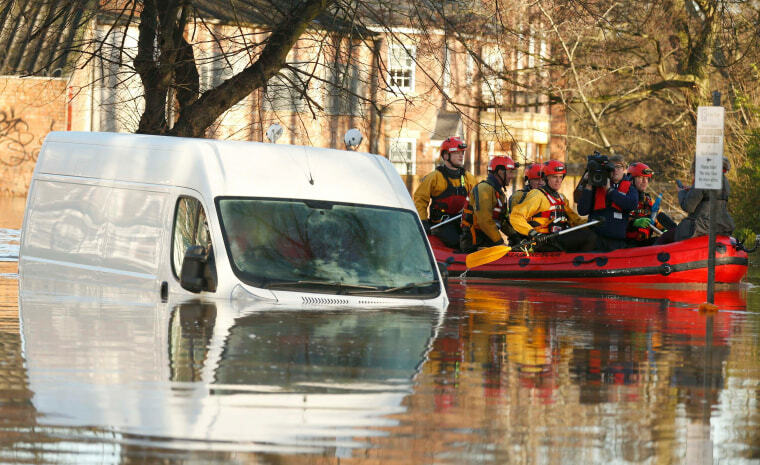 Members of the emergency services transport residents to safety after their homes were affected by floodwaters. 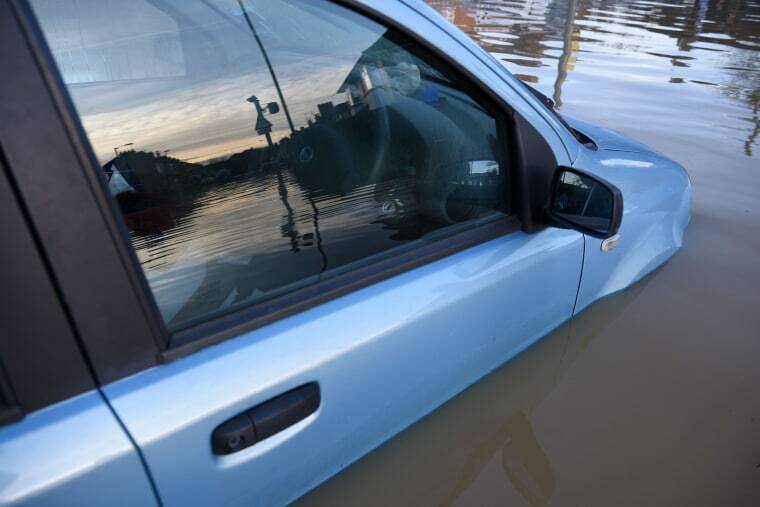 A flooded residential street is reflected in the window of a partially submerged vehicle. 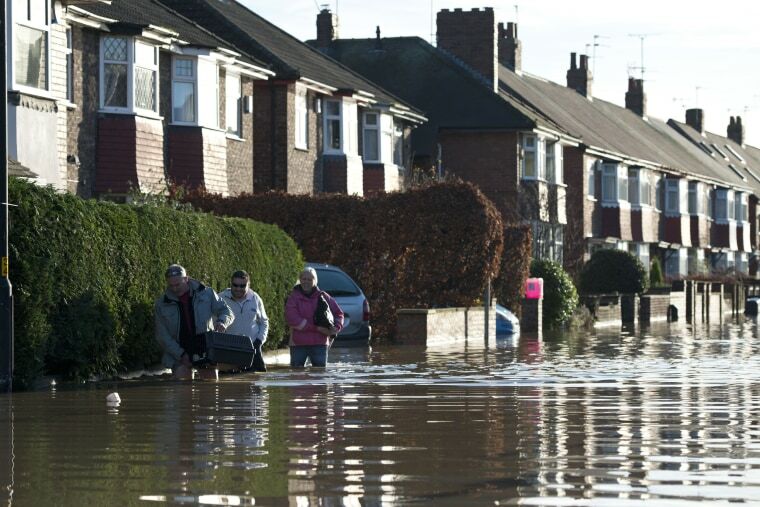 A flooded residential street is pictured adjacent to the River Foss. 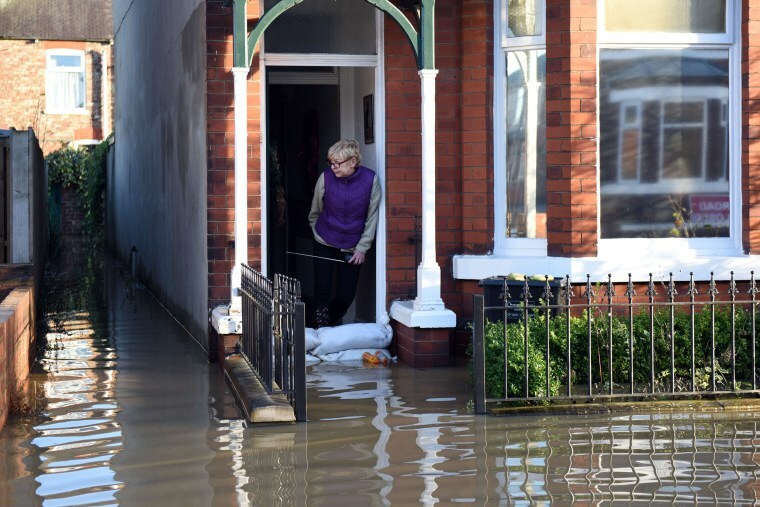 A woman looks out from a flooded property adjacent to the River Foss which burst its banks. 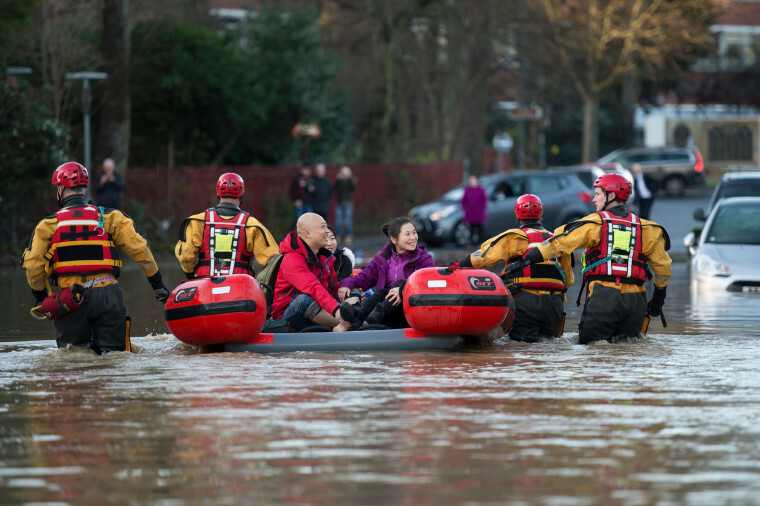 Members of the emergency services search for people in need of assistance. 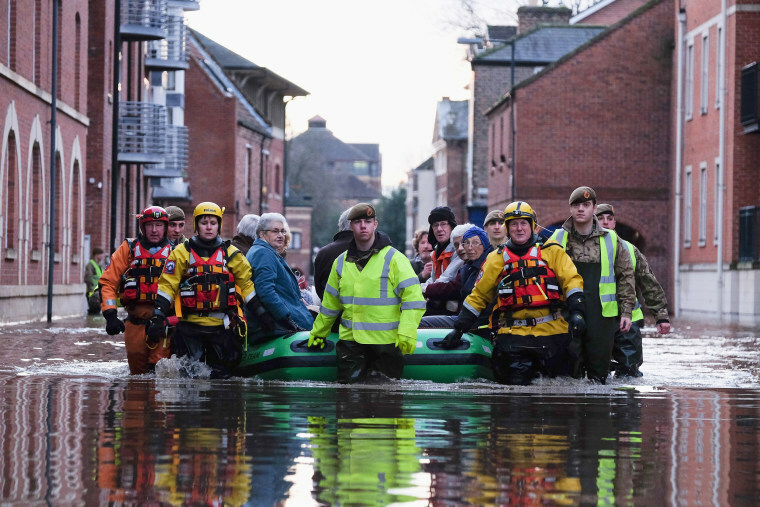 Members of the emergency services rescue a group of people from a flooded street in Tadcaster, northern England. 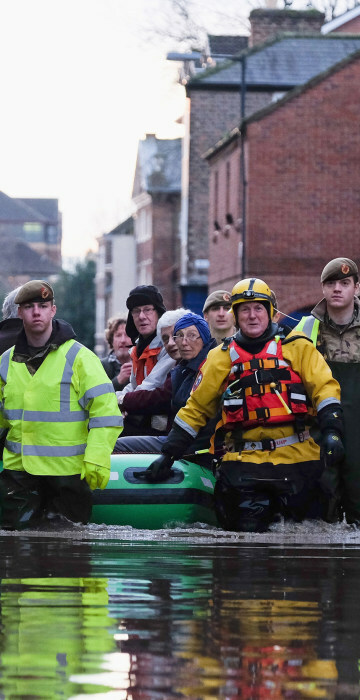 Members of the emergency services rescue a group of people from a flooded street. 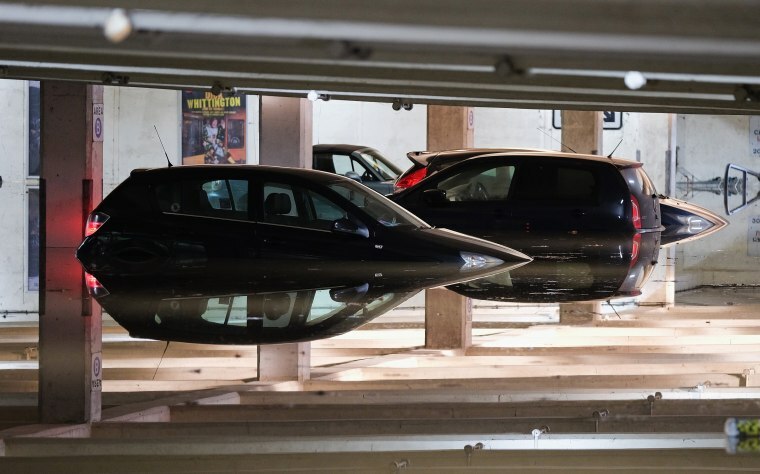 Cars are submerged in water inside a car park. 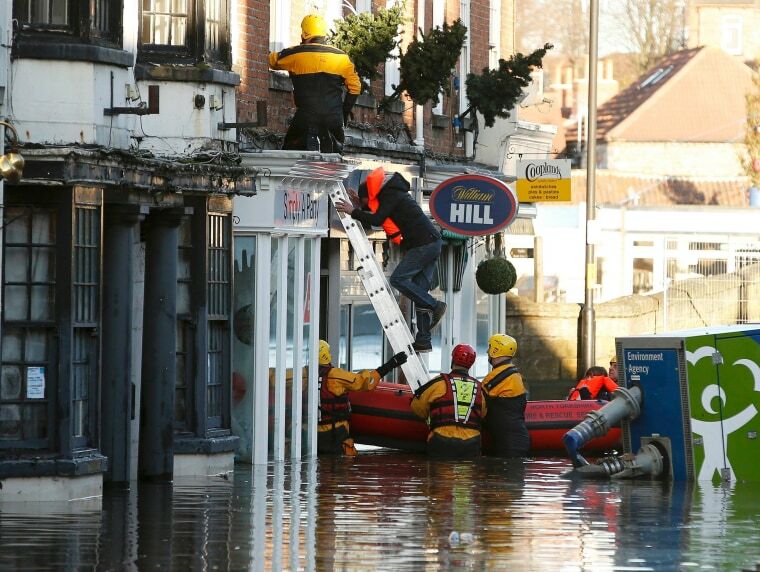 Water levels rise high against a flood barrier. 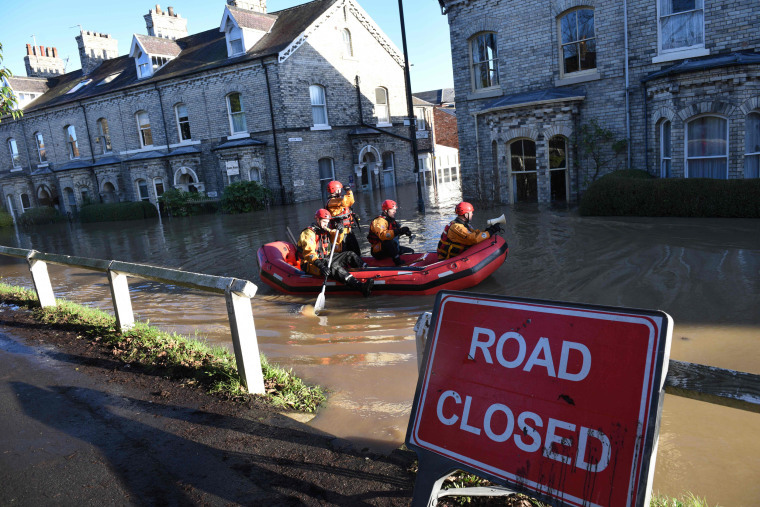 Emergency services navigate a flooded street. 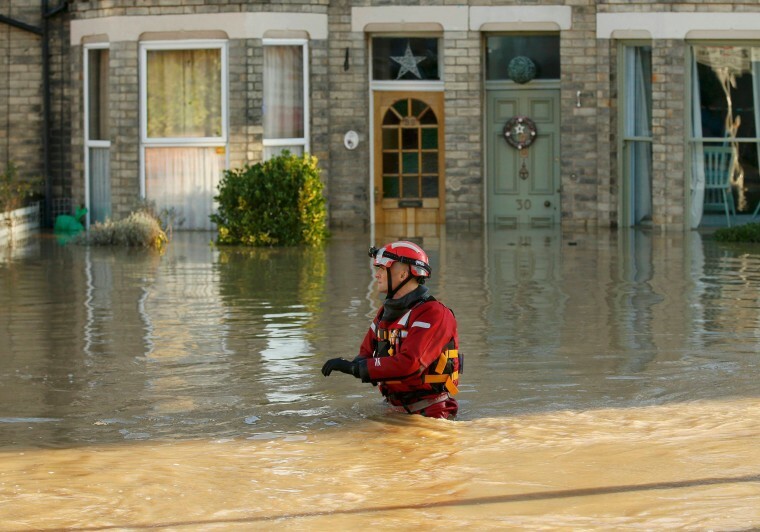 A member of the emergency services navigates a flooded street. 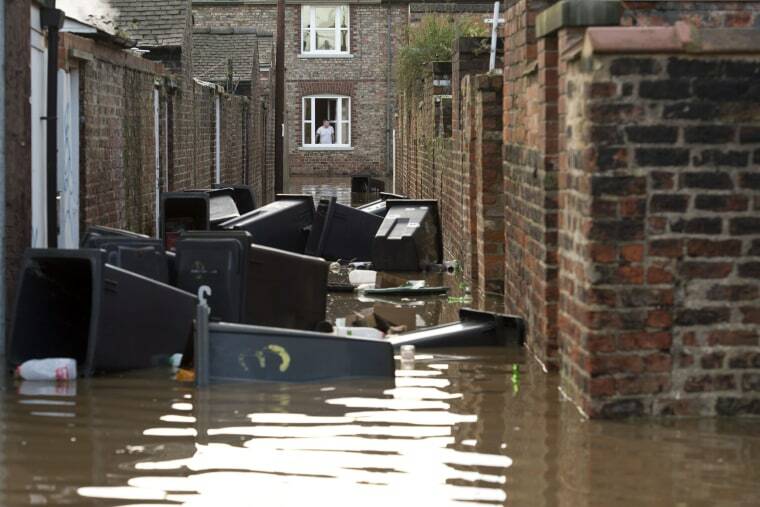 A man looks out onto an alleyway filled with floating trash bins.